For Thank a Farmer Series: Dave Simpson has a little different type of farming going on. Dave started at the age of 13. he knew of a farmer In the Greentown area that he talked into letting him borrow his equipment to harvest straw. Once he harvested it he would sell it to local landscapers in the area. Now he has grown so big that the local farmers hire him to harvest their fields. 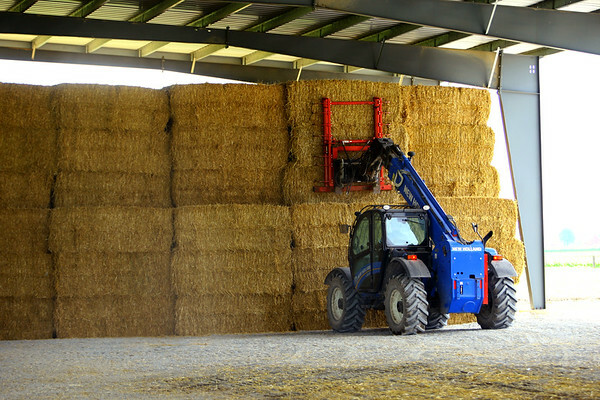 Dave moves large bales of straw that was harvested in southern Indiana on June 22, 2017.